By E. Donnall Thomas Jr.
It’s hard to believe that 45 seasons have passed since my first Montana bird hunt. Newly arrived on the prairie, I set out with local friends bouncing south from Highway 2 along a series of nameless tracks in the direction of Fort Peck Lake. Miles of level horizons and the near total lack of human activity created the impression of a voyage at sea. Sagebrush stretched away in all directions punctuated occasionally by a lone cottonwood or strip of green along a creek bottom. 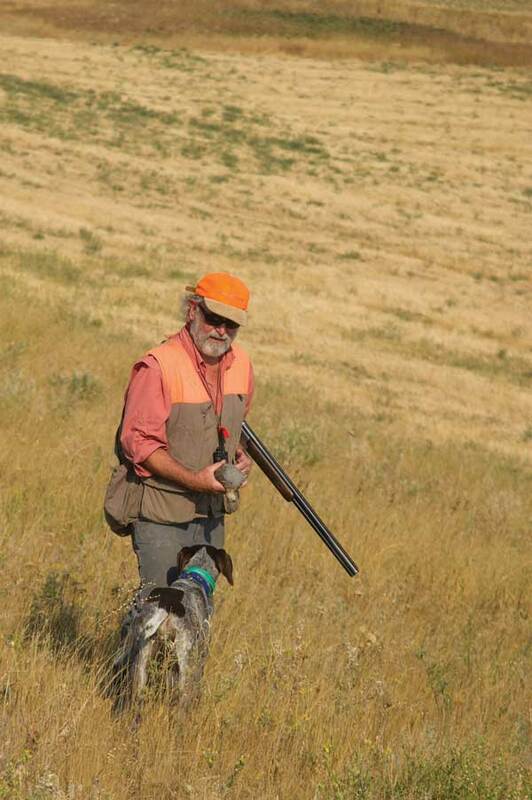 This area of eastern Montana offers hunting for sage grouse, sharptails, Huns, pheasants and waterfowl. Photograph by Lori Thomas. One member of our party was a biologist, and his recommendation was the only reason we stopped where we did. He must have known something, because we hadn’t walked more than a few hundred yards through the sage when a dark, ponderous bird rose in front of me. Like many hunters encountering their first sage grouse, I stood and stared until someone yelled, “Take him!” And I did. That was back before sage grouse teetered on the edge of being an endangered species, and Montana regulations allowed long seasons and three birds per day. (Currently the season is limited to September with a daily limit of two.) Each of us had all the sage grouse we wanted by the time we circled back to the truck mid-morning. With a couple of sharptails added for good measure, the weight in my game vest felt like a hindquarter of venison. I don’t shoot sage grouse nowadays, but I’ve never lost my fascination with the sagebrush habitat where I found that first bird. Best of all, huge swaths of it lie on public land. Montana easily could be considered two states separated by the Continental Divide. The farther east you go, the more public land containing gamebirds you find, most of it administered by the Bureau of Land Management (BLM). The area also contains scattered state sections along with several national wildlife refuges open to hunting. (Refuge regulations may be more restrictive than on adjacent land. Consult refuge headquarters.) Eastern Montana is a huge place but, to provide some focus, I’ll concentrate on the area with the largest amount of nearly contiguous public land: the portion of Region Six between Highway 2 (“The Hi-Line”) on the north, Fort Peck Lake on the south, Highway 24 on the east and Highway 191 on the west. Much of this land lies in the public domain for good reason: It’s a hard place to make a living, as thousands of naïve homesteaders learned in the early 1900s. Moisture is scarce, and much of the terrain is too rugged to plow. Even today this area remains remote and sparsely populated. That’s one reason I love to hunt there, but it also means that visitors need to be self-sufficient. While this is classic sage grouse habitat, it offers more. Sharptails—the area’s other native gamebirds—prefer grassy areas near creek bottoms to open sage. While gray partridge (Huns) are most likely to be found adjacent to grainfields (which usually lie on private land), a covey can pop up anywhere at any time. Some creek bottoms also hold good numbers of pheasants, and waterfowl hunting can be good on reservoirs early in the season and right before freeze-up. 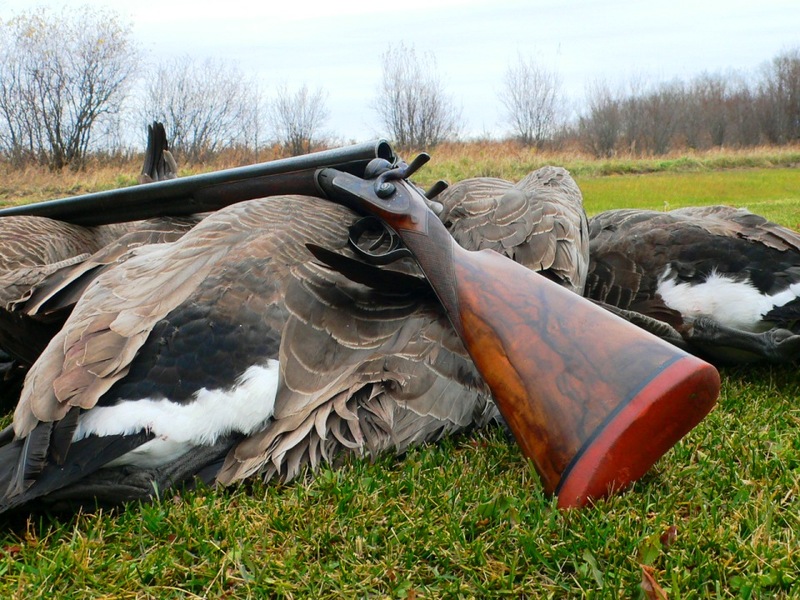 The area does include private farms and ranches, which of course can’t be hunted without permission. Good maps and modern GPS technology make the distinction easy. Furthermore, many of these private lands are enrolled in Montana’s Block Management and Open Fields programs, which allow public hunting at no cost. Services are virtually non-existent south of Highway 2, so plan on camping or using Malta or Glasgow as a base of operations. Fill your gas tank before leaving the pavement. And unless you are on a good gravel road, head for one at the first sign of rain. Dirt roads turn to gumbo when wet and quickly become impassable. At first glance, the new Fabarm Elos D2 over/under may seem similar to previous Fabarm Elos models, but it has undergone a number of changes—one of which makes a world of difference.